When most people think of a Jeeps; they think tough, dirty, and ready to go to work. For the most part you would be right to think that. 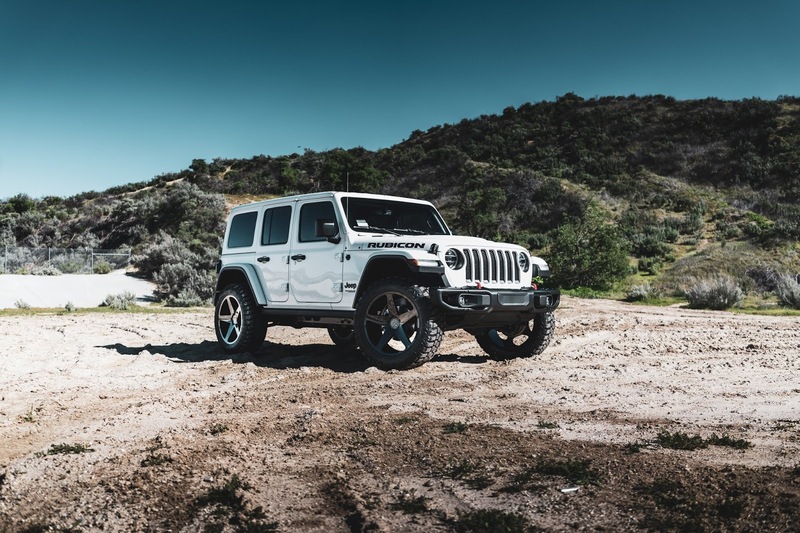 The US Military has used Jeeps in the past and many other countries all over the world still rely on the Jeep to get them through rugged terrain on a daily basis. Although we fully respect the Jeep and its history, we thought it was about time to change things up. 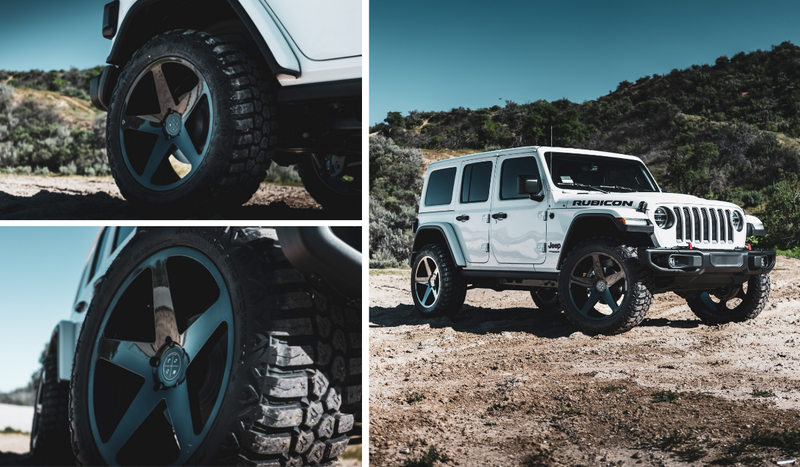 Deep concave wheels have been a hit for cars and trucks alike, but it seems as though the Jeep has been left out of the equation. Why don't Jeep enthusiast run concave wheels? Well to be quite frank, there is no utility in it... or is there? 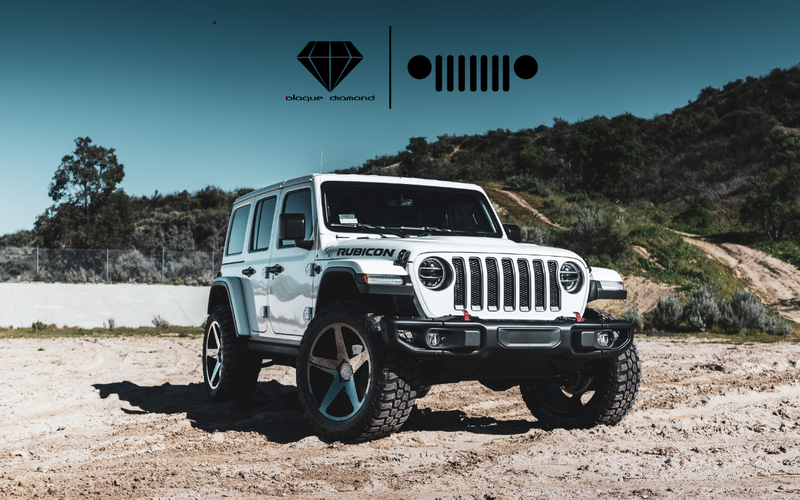 We have a fully equip Jeep Wangler Rubicon running one of Blaque Diamond's most versatile wheel, the BD-15. The BD-15 is sleek, elegant, and simple. 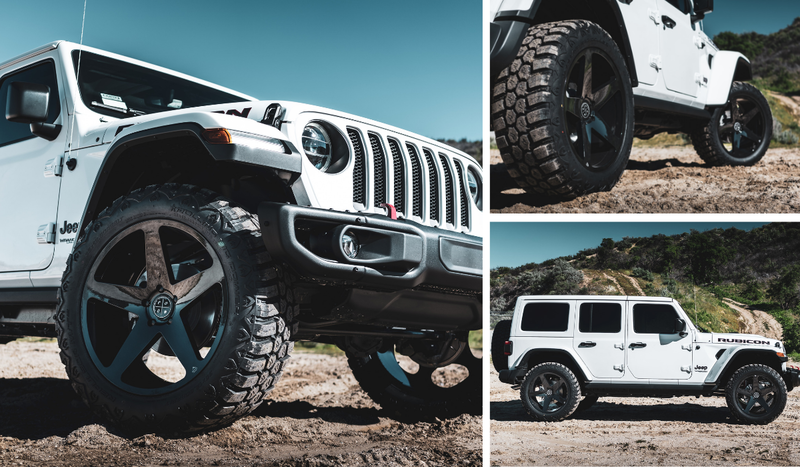 It's everything you want and need in a 5 spoke wheel but has that touch of uniqueness that will demand attention, especially on a jeep with M/T tires. This Jeep is running 22" Black Diamond BD-15s with a 10.5" width wrapped in a meaty set of Rolling Big Power Repulsor M/T 35x12.50R22LT and it looks absolutely menacing! The amazing thing about this set up is that there is no suspension modifications required to have this look. This Rubicon was driven straight off the lot and right to the rim shop! If your goal is to standout from the crowd, this set is up is for you. You can follow trends all day long, but you will be just another fish in the sea. With this set up you'll be the shark! Features of the BD-15 wheels include a 5 spoke design in standard silver with a machined finish. This wheel is also offered in a standard gloss black finish or can be customized to a customer’s color preference and specifications. Simple yet elegant. A first in 2019, Blaque Diamond offers this wheel in a 5 lug and 6 lug pattern, as well. The only limit is the sizes offered. Given that this 5 spoke design gives off a clean aesthetic, the BD-15 wheel looks great on muscle cars, exotics, luxury and even economy cars wanting to stand out. It’s like having a good pair of black shoes, you can never go wrong. To illustrate the wide range of applications for this wheel, Blaque Diamond has a gallery with this design being used on large SUVs as well as muscle cars and coupes. If you have any questions about our wheels, company, or something else, please call us at (818) 362-2250 or email us at info@blaquediamond.com.